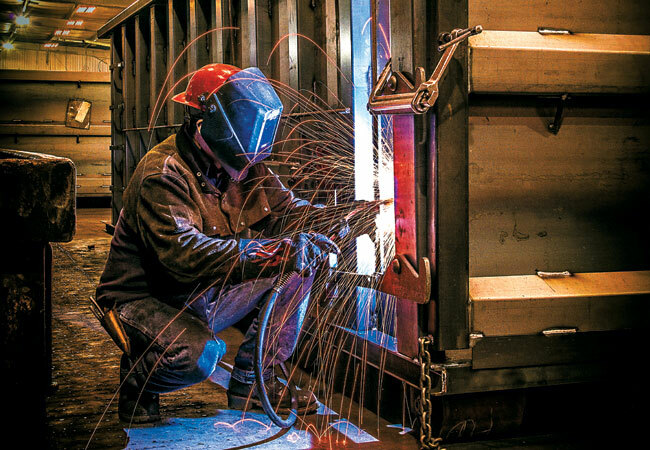 BUCKS® FABRICATING - Deist Industries, Inc.
Roll-offs that work as hard as you do. Bucks® Fabricating specializes in building quality roll-off containers also known as dumpsters. Serving a variety of industries including construction, scrap and recycling as well as waste hauling. Bucks American made roll-off containers are designed to work as hard as you do, day in and day out. They will not waste a day or a dollar. And just like you, they are ready to work. “Made in America” is more than where we manufacture our products. It is a deep-rooted commitment to providing American jobs that support families, high-quality American products and exceptional American service. Click the links below to be taken to the specific product pages at BucksFab.com.